With Earth Day right around the corner, we've been thinking green at Ready. Set. Read! Gardening is fun for my boys. They love dirt! They also love their Grandpa, who provides much of our produce for the summer season! We are very blessed in our part of the world to not only have access to Grandpa's Garden, but also to have access to local farmer's markets and grocery stores stocked with fresh foods year-round. Unfortunately, the entire world is not as lucky. When #ONEMoms asked bloggers to volunteer their voice and get involved in ending hunger simply by posting a picture of a gardening activity, I was more than happy to join in! We’re linking our seed planting with the THRIVE campaign lending our voice. You can help plant a seed of change in the G8! 1. Sow one- Show your commitment to developing agriculture in the developing world. Plant a seed at home. 2. Send one- Get involved by signing the petition at ONE. While you are there, check out other things you can do to get involved. 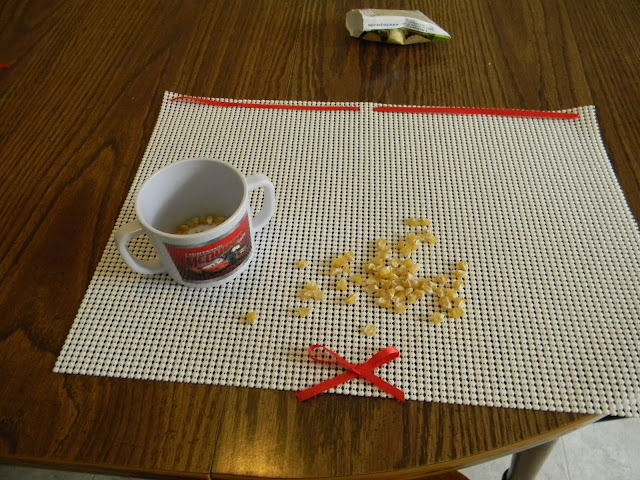 While you are planting your seeds, you might also want to try this seed sorting activity! Seed Sorting Activity: We prepared for our gardening unit last year by sorting groups of seeds. This is a fantastic activity for language development. You can guide the sort by asking your child questions. 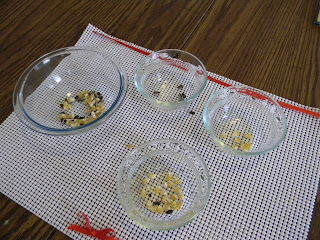 For instance, you may notice the sunflower seeds in with the corn seeds and say something like, "Does that pointy black seed fit with those round yellow seeds?" Throw in as many adjectives as you can for your child's developmental level. You can also verbally label the seeds as you go, calling them sunflower seeds, corn seeds, etc. This will get your child thinking about where their food actually comes from! If you have a little one that wants to participate, I set this up for my son last year when he was 16months old. 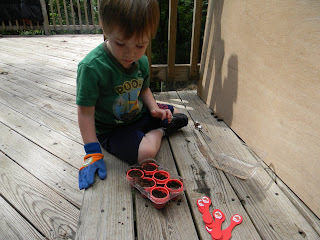 Just transfering seeds into a container is a great way to work on the pincher grasp. 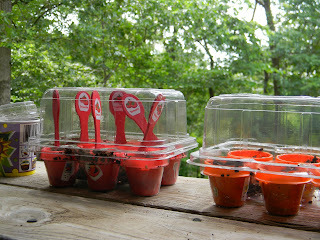 You can also share updates on your seed growing activity and link them here.